Not fond of working out at the gym or at home? We all get bored from time to time. Don’t be afraid to change up the scenery by taking your workout outside. We all know the benefits of getting regular exercise. Even walking 30 minutes a day can positively impact weight, mood, digestion and focus. In January, new gym memberships skyrocket in our endeavor to drop some pounds and lead healthier lives. We tend to think that a gym is the only place we can enjoy a good workout. Not so. Mother nature has provided us with five unexpected benefits to taking our routine on the road, literally. This particular benefit is only applicable during the colder months of the year. Working out in colder weather may help burn “white” fat by increasing the amount of “brown” fat. Brown fat, which is primarily found in babies, is believed to be responsible for generating heat. And in order to do that, it must burn calories. It will take energy from subcutaneous fat, or so-called white fat, in order to do that. Scientists theorize that regularly exercising in cold weather can trigger the body to increase its brown fat stores. It’s unknown why we lose this type of fat as we become adults, but it can be found in the neck, shoulder and upper chest area. Now, what now? It’s true. Trees emit a compound called phytoncides. Some researchers believe that this organic compound, when inhaled by us humans, increases the number of killer cells in our body. In short, our immune system is largely based in our intestines. There are cells that act as the first line of defense. When they detect a foreign object they signal for help. Killer cells show up to handle the intruder. Once they’ve destroyed the invader, clean up cells come along to take care of the debris. Our immune system relies heavily on the killer cells to be abundant and ready-to-go. There has been a movement called forest bathing. Some data in Japan and Korea suggest that when people go for a walk in the woods or a tree-dense park they experience lower blood pressure, decreased cortisol levels, and a boost to the immune system. There are actually certified guides who lead people on treks through the forest. No need to pay someone, just head to your nearest green space and spend at least 3o minutes walking and breathing deeply. 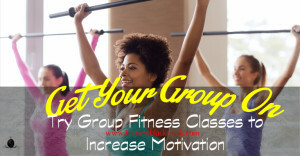 Working out in the gym or group fitness classes can be great, but also daunting. No one wants to be judged while trying to workout. Getting away from the judgey eyes of the gym rats may actually keep you motivated and engaged to continue your fitness routine. If your first thought was people outside can judge too, the answer is sure, but not really. People’s attention spans are so short. They will have forgotten you within 10 seconds of you passing them, if they even saw you. Okay, not an actual buck. Of course it’s cheaper than joining a gym. Running, walking and biking outdoors is a more efficient use of energy when it comes to burning calories. Have you ever trained for a 5K or marathon on a treadmill? Did you find when you ran the actual race outside it was harder than you expected? We are less efficient when we rely on machines to help move our body through space. Running five miles on a treadmill burns fewer calories than running them on the road. Your stride changes when your feet hit the pavement versus that enormous rubber band. The same applies to walking and cycling. Moving a bike through space provides a more intense vascular workout. The only exception to that may be spin classes that tend to mimic an outdoor environment by changing speed and resistance. 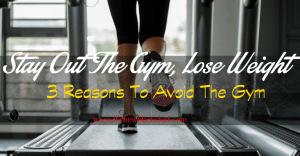 Lastly, by avoiding the gym you may actually lose more weight. Here’s a truth about the fitness industry. It is a business. According to Statista, fitness clubs alone are a $26 billion industry. Yet, obesity and related chronic diseases are still rising exponentially. In fact, fitness club market growth and obesity are increasing at almost the same rate. This isn’t to suggest that fitness clubs are responsible for obesity. What research suggests is that people aren’t using fitness clubs effectively. This has contributed to the rise of niche fitness clubs such as Barry’s Bootcamp and Crossfit. They offer group fitness classes, more expertise, and nutritionists. Research suggests that super long two-hour gym sessions actually trigger the body to hold on to fat. The body interprets the sudden increase in activity as a significant change. The brain doesn’t like change. The brain thinks something is wrong, and you are increasing your output in order to stay alive. The brain’s primary purpose is to ensure our survival. Therefore it will tell the body to store fat for future energy needs. Some initial studies have revealed that women over 40, due to hormonal changes, should stick with shorter workouts, such as HIIT (high-intensity interval training). Exercising outside may break you of the habit of mindlessly jumping on exercise equipment. It causes you to reconsider your mental/emotional health and eating habits. You are more likely to stay engaged because it also relieves the boredom of the gym. Still love going to the gym? By all means, keep it as a tool in your toolbox. Be sure to take at least one or two of your routines outside this week and enjoy! Not sure how to get started? Check out organizations such as Black Girls Run. Please share this post, mention #BlackEVEolution, and follow us on Twitter, Facebook and Google+. We know you’re looking for more great content like this. Connect with us now to receive original and informative content that will help you be healthy, wealthy, wise and woke.